Apparently, dynamic is a word coined for Dr Prem. With remarkable proficiency in more than one field, Dr Prem has set the benchmarks for the rest to emulate. A multi faceted man, Dr Prem is an acclaimed speaker, global trainer, successful entrepreneur, chartered consultant author and publisher all rolled into one. Aside from the sheer diversity of deliverables, Dr Prem’s professionalism and compassion makes him stand out. Dr Prem Jagyasi is at the helm of a diverse and well-insulated network of 50 niche websites catering to the ever-dynamic aspirations of readers worldwide. Additionally, he manages in excess of 100 associate websites with high rankings on all prominent search engines. 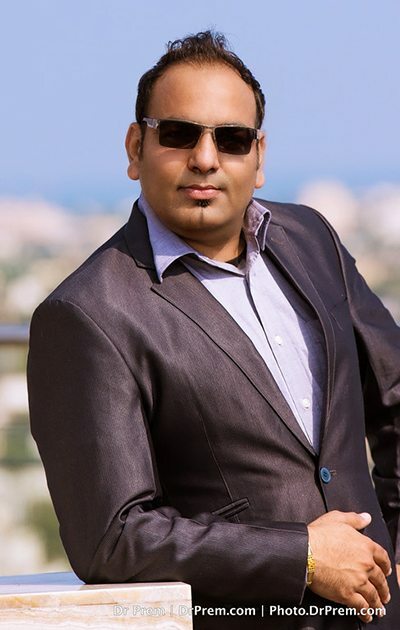 A globetrotter by instincts, Dr Prem has been to almost thirty countries and has extended his consulting services to an array of government agencies, private healthcare organizations and healthcare event-management firms. Dr Prem has painstakingly developed a team of experts willing to take up challenges of any magnitude and complexity. The seasoned professionals at his disposal bring to the table years of experience along with fresh ideas to deliver bespoke and diligent services. Dr Prem’s character and intent to enable individuals and businesses across industries to make informed decisions remain unsurpassed hitherto. In his flourishing consultancy practice, Dr Prem worked in association with major healthcare organizations in over 25 countries. He presents a range of options and let the customer choose what works best for them. An integral part of his business initiatives, Dr Prem and Associates is a team of experts with proven credentials in their respective fields. Other than being a globally acclaimed strategic leader, chartered consultant, global trainer and personal branding expert, Dr Prem has proven credentials in public speaking. his diligent oratory skills, his flawless communicative abilities and his confidence makes him a name to reckon with. Be it leadership, public speaking, business management, global healthcare or any other subject, you can only expect authoritative and thoughtfully constructed speeches without repartee from this endowed speaker. For Dr Prem Jagyasi, healthcare is his forte and hence dedicates all his efforts in creating initiatives in the global healthcare segment. He is the man behind a slew of healthcare projects aimed at making a positive difference in lives of millions of destitute worldwide. Dr Prem Jagyasi considers his contribution to the healthcare segment as his social as well as moral obligation and hence plans to enhance the quality and quantity of his healthcare initiatives in times to come. Dr Prem Jagyasi is well known as a chartered consultant all over the world and he visits many places regarding healthcare programs and variety of business programs. Through his visits to many countries he has been able to gather a lot of exceptional experience and huge amount of knowledge that makes him a very renowned personality. He has connections with more than one government authorities and known health care organizations plus his work and contributions are appreciated by everyone. His initiatives and works depict his special experience and vast amount of knowledge plus it also shows that he has a charming and dynamic personality. Dr Prem is a master of many skills like writing, speaking, and consulting and his mastery can be experienced in his every work. His inspiring and exceptional speeches and his helpful guides and books have helped the society in many ways. Through his works Dr Prem Jagyasi has been able to acquire recognition around the world.